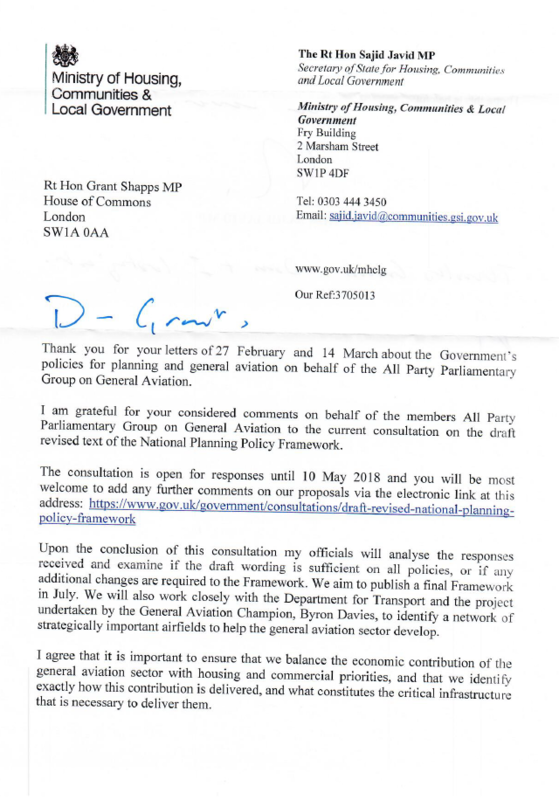 The Secretary of State for Housing, Communities and Local Government has committed to ensure that the UK’s £3bn General Aviation sector can develop, in a letter to the All-Party Parliamentary Group (APPG). 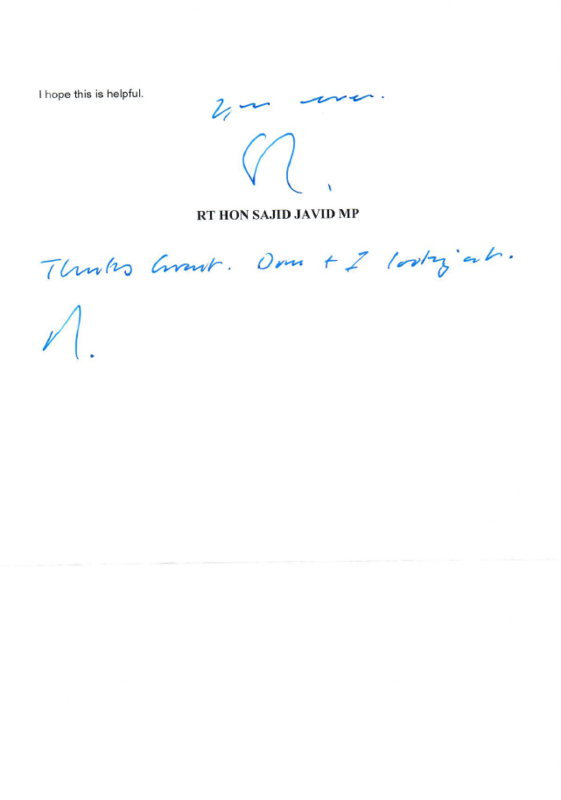 In the letter, which can be read in full below, the Rt Hon Sajid Javid MP writes: “it is important to ensure that we balance the economic contribution of the general aviation sector with housing and commercial priorities, and that we identify exactly how this contribution is delivered, and what constitutes the critical infrastructure that is necessary to deliver them”. Commenting on the letter from the Housing Secretary, Grant Shapps MP, Chair of the 148-strong all-party group, said: “We welcome the commitment from the Secretary of State for Housing that his Department will work with the Department for Transport to ensure our valuable General Aviation sector can develop.